Think you could handle 32 inches of it? 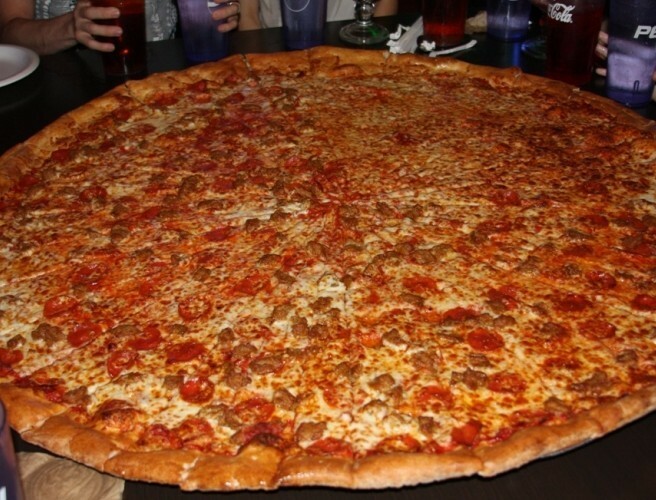 The folks at Pinheads Pizza on South Circular Road in Dublin are now offering you the biggest pizza in Ireland. As part of a recent revamp the store decided to create the biggest pizza in Ireland and say they’ll even have a wall of fame in the store for those hungry enough to down it all. Deliveries of this monster aren’t available yet, but they are working on it. We're gonna need a bigger box!